Which retirement plan is suitable for you? Retirement is a period of resting in peace and calm after an active life. Hence, it is imperative to have a retirement plan that will provide for a comfortable life after retirement. Retirement is a period of resting in peace and calm after an active life. Hence, it is imperative to have a retirement plan that will provide for a comfortable life after retirement. There are different types of retirement plans on offer and one can pick and choose the plan that is best suitable for you. 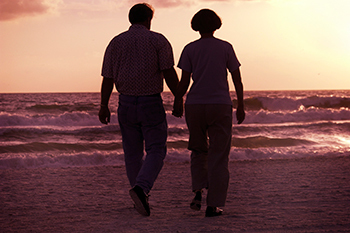 Here are some of the features of retirement plans that will help you choose a plan that is most suitable for you. Immediate annuity: In this type of plan, the pension starts immediately after paying the lump sum amount. The pension is paid for life and the pay-out is at fixed intervals, that is, monthly, quarterly, half-yearly or yearly, depending on the choice of the individual. Deferred annuity: Under this plan, the pension begins after the end of the plan term. One can deposit a lump sum amount or make regular contributions during the term of the plan. This plan is suitable for those who are not on the verge of retirement but would like to build a retirement corpus which will provide them a pension after retirement. Guaranteed period annuity: This plan offers annuity for a specified number of years. If the annuity is for, say, 20 years, you will get pension for 20 years. In the event of the death of the policyholder during the period, the policyholder’s nominee will be paid the pension amount. However, if the annuity is for life, you will get the specified amount throughout your life. Annuity with cover: A cover plan offers insurance cover to the policyholder and in the event of death of the policyholder during the term of the policy, the insurance company provides a lump sum to the family members of the policyholder. Unit linked pension plan: A policyholder can opt for a unit-linked pension plan to maximise returns as these plans invest in stock markets, bonds and mutual funds. This plan is suitable for those who start at an young age so that the risks associated with stock market investments are mitigated over the long term. Conventional pension plan: This plan is suitable for those who are in their late forties and fifties and, therefore, have low risk appetite as these plans invest in low-risk government securities and bonds.